If you follow me on Instagram you may have seen I had posted some before-after pictures yesterday. For the last 24 hours, I’m getting messages saying that – we want a short video review or more pictures which I feel is so cute! I honestly haven’t seen so many messages for the last 4 months and really missed talking to my followers(friends) What a relief!! Yesterday I sat down to film a quick video and I think if you aren’t a big YouTube Beauty Guru its better to give your followers some quick information about whatever you know. 2 Minute Quick Review on Lancome Full Coverage Foundation ! 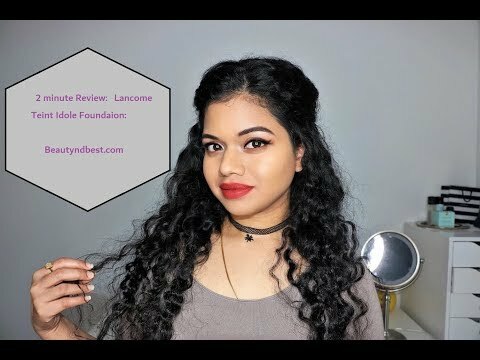 So here I present my 2 minutes Honest & Quick review of this Lancome Foundation. This was so much fun to film I hope you guys enjoy it! !